Noun, plural -gi, -gies. Eastearn European Cookery. 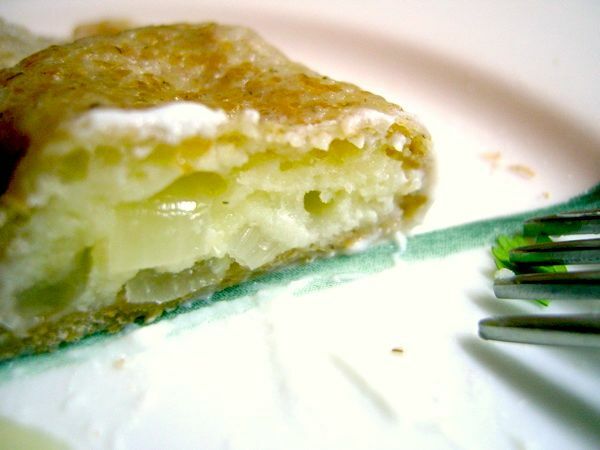 A small dough envelope filled with mashed potato, meat, cheese, or vegetables, crimpled to seal the edge and then boiled or fried, typically served with sour cream or onions. Consider yourself warned. 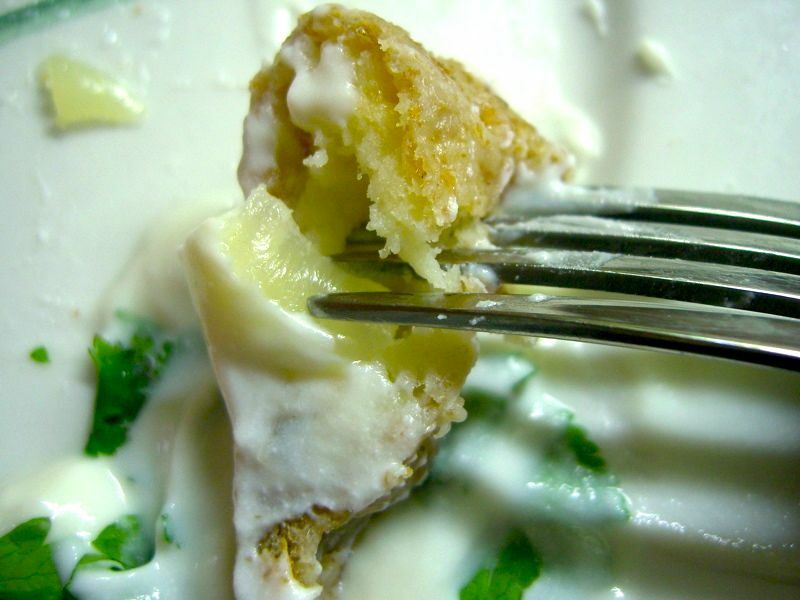 You will be tempted to eat all of the filling for these perogies on its own. I first learned about the existence of perogies in my first year of university. We all agree that cafeteria food is often questionable, but the perogies and I had what I can call love at first bite. A couple of weeks ago, I was craving perogies and debating whether or not I should make a batch of my own or just buy some frozen. As I try to avoid refined flours, I decided it’d be fun to spend a Sunday afternoon making these little wonders — with whole grain flour, of course! To make the dough, measure the flour in a bowl, sprinkle with salt then add egg and olive oil in the center and blend ingredients. Add water a little at a time, working the dough until water is fully absorbed. Knead dough until smooth then roll it into a ball, cover with a warm bowl and let stand at room temperature for 10 minutes. Meanwhile, to prepare the filling, cover the potatoes with lightly salted water in a pot and cook until tender. Drain and cool. Add cheese then thoroughly mash with the potatoes. 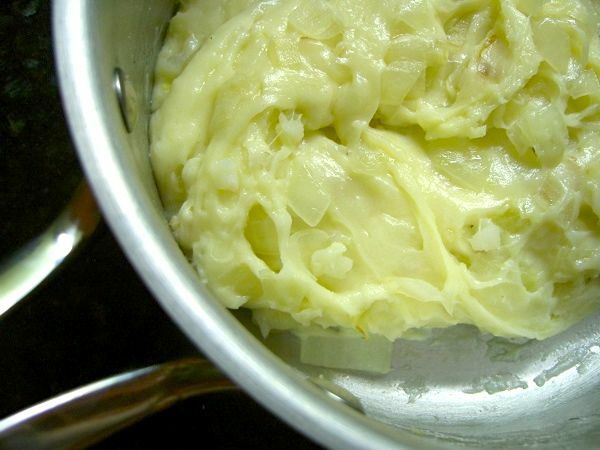 In a pan, lightly sauté the onion in olive oil then add to the potato-cheese mixture. Mix well and season with salt and pepper. Taste with caution, ie. self-control. Potatoes, cheese, onions… what’s not to love? Sprinkle some flour on a clean flat surface and roll out the dough until thin. 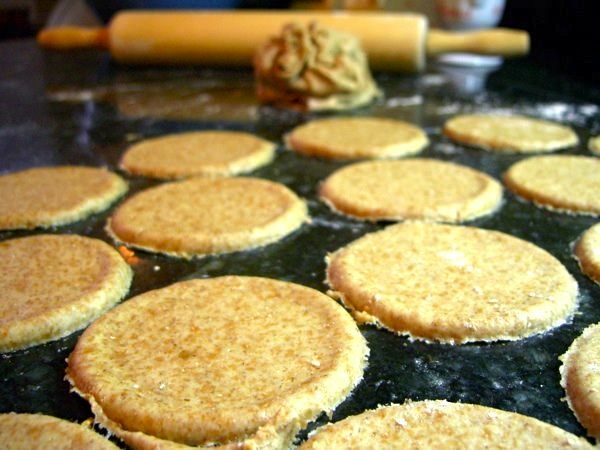 Cut dough into rounds with a glass or cookie cutter then place one tablespoon of filling in the center of each. Fold rounds in half and pinch edges together to seal. Cook in about three liters of boiling salted water, in batches for about 10 minutes. Remove and allow to dry while you cook another batch. Sprinkle with chopped cilantro, if desired, and serve with sour cream. I also enjoy eating them with low-fat cottage cheese and cilantro. Aww, comfort food. Adapted from Alive magazine. This recipe makes 3 to 4 dozens. To freeze the perogies, layer them on a baking sheet and place in the freezer until firm, 30 minutes to 1 hour. Transfer to a freezer bag and enjoy at a later time. mmm I definitely want to try this one! Thanks! Awesome! Thank you so much for the recipe. 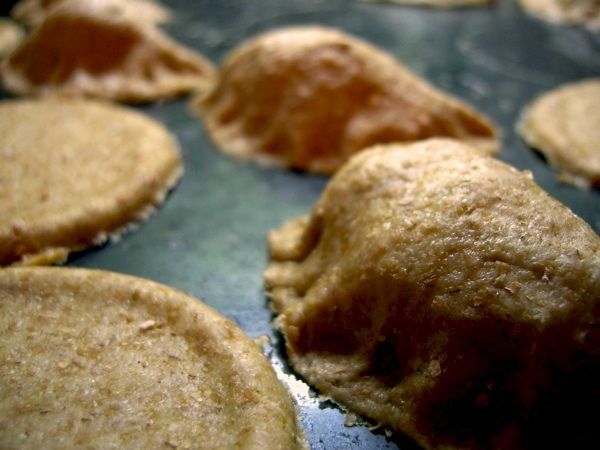 I used light spelt, because I haven’t eaten perogies in so many years and I wanted them to taste like the original, and they were unbelievably good. No one would have known they were spelt. I had about two times extra potato/cheese/onion mixture though – so tomorrow I’m going to make a little more dough with whole spelt just to see what they’re like. Could you get any closer to heaven than this? Spelt perogies? Everything organic? White cheddar, the way it’s supposed to be, not orange, the way it is in the store bought kind? Glad you enjoyed! Ha, I guess I ate so much of the mixture that I wasn’t left with much in the end 😉 It’s too delicious!! Thanks for your comments! Greetings from Poland. Love your blog! Pierogi are a traditional Polish dish. The version that we call 'Russian pierogi' is with stuffing made of mashed potatoes and quite hard cottage cheese, fried onion, salt and pepper. My grandma used to do them. I made these with my kids and they turned out amazing! We used spelt flour. There was a bunch of filling left over so next time I will double the flour recipe. Awesome! Thank you! How many potatoes makes 1/2 lb? It depends on the size, but about 2 medium ones. Wow, this looks delicious, making these tonight! Seeing as how you love the whole grains because they're more nutritious, have you tried working with sprouted flour? If so any suggestions for your recipes using sprouted flour or an economical place to buy it?